It was a small thing really, just a paper sack full of string beans, that did it. I bought them at a Saturday-morning farmers’ market. I brought them home, took them into the kitchen, grabbed a handful of the beans and laid them on the cutting board. I lined them up evenly and grabbed my chef’s knife to slice off their ends. Not every end came loose. A few remained attached to the bean pods by … strings. An unnoticed truth hit me full in the face: I hadn’t needed to actually string a string bean in years. Buy string beans in most supermarkets today, and you’ll get beans whose strings have been bred out of them. But these beans, they came from old stock. They had strings. So I swept them off the board into a bowl, and went out on my front porch to sit down and string them. You break off the tip from one side and pull the string loose down the opposite side of the pod, then repeat, pod after pod. I already knew how to do this. In fact, I couldn’t remember not knowing how to string beans. My Aunt Mary taught me when I was a kid. Helping her in the kitchen at canning time was my thing. It was how I managed to keep from being sent into the garden, under the blazing Georgia sun, to hoe away weeds or pick ripe vegetables. Years later, stringing those beans on my front porch, I couldn’t help but feel good. I remembered all the days I spent in Aunt Mary’s kitchen, chopping cabbage for the kraut she made every year, shelling peas for her to can, stringing endless bushels of white half-runner beans. I remembered describing to her what all the lightning bugs looked like in her yard when the front-porch bean-stringing trailed into the evenings. And I marveled a bit that the flood of good memories had come from such a small thing — a string bean. Martha McMillin had a similar memory — not about beans, but about the creamed corn her mama made — and that memory changed her life. And it might give city dwellers a new appreciation for the food they eat. Ain’t it funny how the greatest truths are sometimes hidden in the tiniest kernels? Martha McMillin is a lawyer by trade. Or used to be. She had a successful legal career for about 30 years, the last five of which she spent as general counsel for the Atlanta Housing Authority. But last summer, she up and quit. 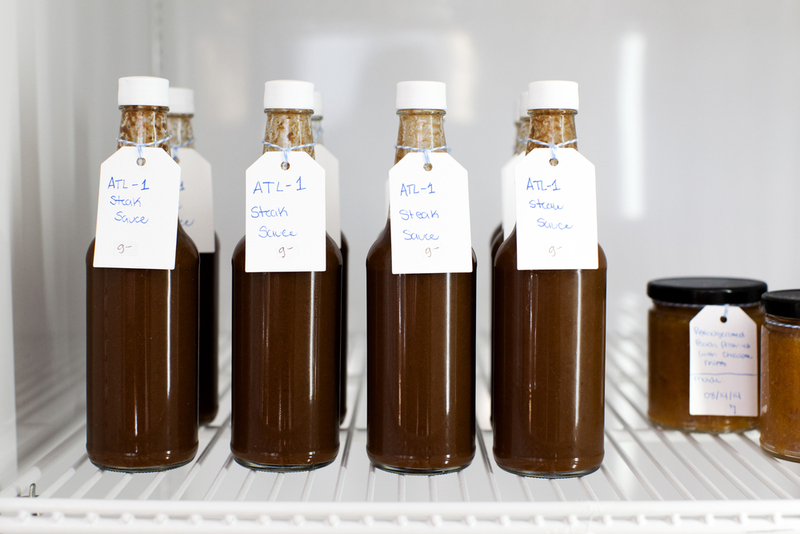 Soon after, she opened a little store called Preserving Place, on the west side of Atlanta. In the front, you’ll find an assortment of jars filled with things like apple butter and blueberry jam and relish made from bread-and-butter pickles. What makes the place curious — and more genuine than the typical big-city food boutique — is what you see when you look through the window behind the checkout counter: a big commercial kitchen where everything in those jars is made. Preserving Place-branded products do not come to McMillin’s store from a manufacturing facility because her store is the manufacturing facility. The raw materials come from local farms. When she gets some fresh watermelons in from a farmer, the rinds become her Aunt Joyce’s watermelon-rind pickles. You can buy them if they’re in season. If they’re not, you can’t. Thus, her customers learn a bit more about the seasonal nature of the agriculture that feeds us, whether they expected to or not. And back in that kitchen, Martha and others teach customers how to take the bounty of their gardens — or the food they bought at their local farmers' market — and preserve it. To lay down a firmly established career in the law and open this store might strike some as a bad move, but Martha McMillin says with great conviction that she felt she was “being called to do this.” The kernel of that calling was in the creamed corn made by her mother, one Martha Irene McMillin. Martharene for short. Martha grew up in an agricultural family business, McMillins’ Inc. Her ancestors in the 1600s had settled onto some fertile land along the North Pacolet River in what is now Spartanburg County, S.C.
On that land, her family built a longstanding mill business and a little crossroads village called — you guessed it — McMillin, which has receded into the mists of time. Don’t bother looking for McMillin, S.C., on Google Maps. It’s not there. The memories of growing up in a family whose activities were dictated by the growing seasons never left McMillin, but the years and piles of legal filings kept her disconnected from them. The first was a Southern Foodways Alliance Field Trip she took to visit the oystermen of Apalachicola, Fla., in 2006 — more specifically a trip out in an oysterman’s boat to pull fresh oysters up from their beds with a pair of tongs. “I remember it was one of the most perfect days in my life,” she says. “We were the first ones to get to go out in the boats with the oystermen, and we were tonging for oysters. They already had the Ritz crackers and the red sauce on the boat. We opened one up, and I told the person I was with, I said, ‘You know, I don’t care if I die eating this raw oyster. You can put on my tombstone that a raw oyster killed her, but she died happy.’ That was the absolute truth. It was a perfectly blue sunny day, and the weather was like today, just kind of balmy, and you just had this feeling of well-being. And I did, I meant it. I was like, I am enjoying this raw oyster, and if I die happy like this, that is not a bad way to end your life, right? It took Martha another year to figure out that one of the people who could tell her how to do such things was her own mother, Martharene. Martharene puts up creamed corn every July, and it’s a tradition in the McMillin house to pull some of it from the freezer and fry it up in fatback for Thanksgiving dinner. When the family gathered for Thanksgiving in 2007, Martha’s cousin, Ginny Fleming, took her aside. The next July, when the good Silver Queen corn started coming in off the rich bottomland along the Pacolet, Martha went to South Carolina see her mama make her creamed corn. And in that kitchen, Martha found her calling. She was off and running, taking vacation time from her job with the Atlanta Housing Authority to go to food-preservation classes at places like the John C. Campbell Folk School in Brasstown, N.C. and in late 2011 finally got herself certified in food process control by the U.S. Food and Drug Administration. “Righteous” is a heavy word. But when you walk into Martha’s place the word seems appropriate. Beneath the smartly designed facade, something genuine and true is going on. Go to Martha’s Canning 101 class, and you discover quickly that Preserving Place preserves more than foods. It also preserves people’s stories. 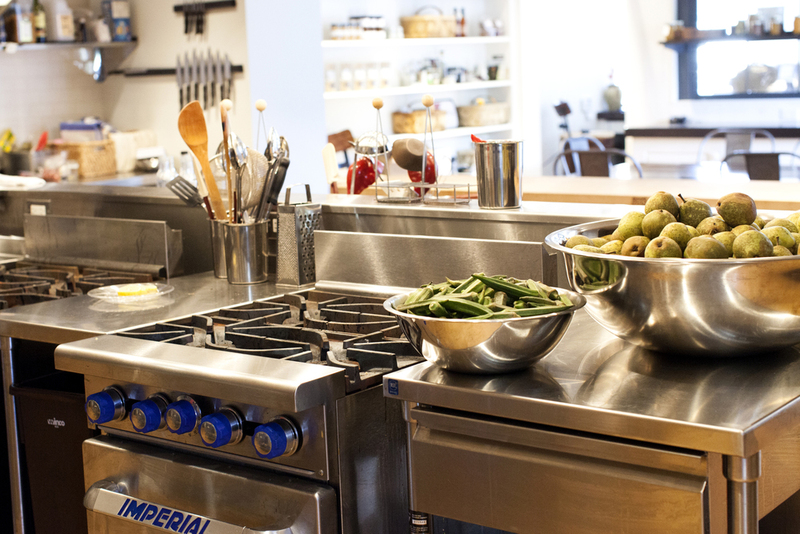 Every class begins at the big communal table in the kitchen, and Martha starts off by asking everyone in the class to talk a bit about who they are and why they want to learn canning. The answers you hear almost invariably include mentions of grandmothers, aunts and others for whom preserving food for the winter was part of everyday existence. People want to preserve the memories of their loved ones by preserving food in the same ways they did. The renewed appreciation of local foods around the country, of course, has much to do with people’s concerns about industrial agriculture and how certain foods affect their health. Many people have taken to heart the words of foodie guru Michael Pollan, who famously admonished, “If it came from a plant, eat it; if it was made in a plant, don't.” But I suspect that the motivation toward local food has at least as much to do with our desire to connect with our memories. Sometimes we forget that our nation is not that far removed from the days when food wasn’t just stuff we buy in supermarkets. Even in the biggest cities, it’s not that long ago when stockyards were necessities, and such facilities exposed us to the meat we ate while while it was still on hoof or foot. Many of us who grew up in small towns, as I did, clearly remember going with parents to buy foods in general stores that sold the crops of farmers around the county. That closer connection to food is the stuff of our parents, grandparents or at most our great-grandparents. It’s not ancient history. Martha laughs. “You’re right!” she says. “That’s true! Well … yeah … maybe we’ll stop shy of that." Preserving Place doesn’t need the cans of Dental Sweet (my Aunt Mary’s favorite) or Tube Rose to feel like a general store. No props are required; the store is true to its purpose. The only things you’ll see there — besides cookbooks (“I only sell the ones I’ve read and know are credible,” Martha says) and jars and bottles of locally made food — is the stuff you need to preserve your own foods: empty Mason jars, lids, rings, canning pots, pressure cookers, canning racks, jar lifters, lid lifters. You need all that stuff, I learned, when I took Martha’s class in hot-water-bath canning on a recent Wednesday. My Aunt Mary was a pressure-cooker canner. She never let me get near those hissing caldrons up on her stove because I was too short, and they were too hot. So I knew basically nothing about the method that predates the invention of the pressure cooker. Then Martha started dropping mad history and science on us. Hot-water-bath canning dates all the way back to 1809, when a French candy-maker named Nicolas Appert discovered that his food would not spoil if he put it in a jar, corked the jar, and sealed the cork with wax by immersing the jar in boiling water. Appert won an award from Napoleon for his work (because canning made it easier to feed the battalions through a long conquest). No one knew why the method worked until a half-century later, when Louis Pasteur told the world about microbial fermentation — and that dangerous microbes can be killed by the right amount of heat, properly applied. The science part is particularly important in water-bath canning, because evaporation makes it impossible to raise the temperature inside the pot beyond the boiling point of water, 212 degrees Fahrenheit, unless an additive such as salt is introduced. My Aunt Mary could can vegetables in plain water and some seasoning because her two big pressure cookers could push the temperature much higher. But with the steady 212 degrees of the hot-water bath, you need acidity to help you preserve the food safely. 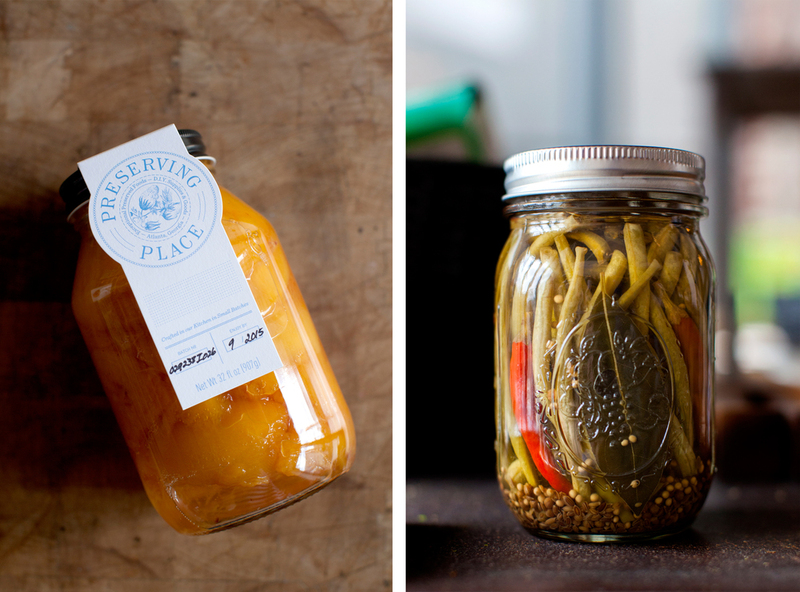 Everything needs to be at a pH of 4.6 or below, which means vegetables must be pickled and processed in a brine. Fruits are generally acidic enough to need only a small portion of an acid such as lemon juice to be canned safely. Following the recipes to a T really matters, because botulism can make you really sick. After Martha got us prepped with the necessary history and rudimentary chemistry, we went to work peeling 10 pounds of ugly little spotted pears, the likes of which you’d never see in a supermarket produce section. We made a brine because we were going to pickle that great undeserved gift to Southern cuisine: okra. We learned how to sterilize the jars and prepare the lids for sealing. We learned how to use jar lifters to remove the vessels from the boiling water. We learned how to use the lid lifter to place the lids on the jars without touching them, which would mess up all that hard sterilization work. We learned how to screw on the rings just right — tight enough to ensure a seal, but loose enough to allow sufficient air to escape and create the seal in the first place. And while we peeled and sterilized and stirred, we, who hours earlier had been perfect strangers, told each other our stories. In a community kitchen, especially at puttin’-up time, that kind of thing seems to happen. This morning, I finally broke the seal on a jar of my pear preserves and put them on some buttered toast. Damned tasty, if I do say so myself. And as I ate them, I remembered the faces and stories of the people with whom I made them. Therein lies the magic of Preserving Place. The reactions of non-Southerners who visit Preserving Place make Martha McMillin happy. How does she reply? I ask. I talked to Michael Wall, the director of programs for Georgia Organics, a non-profit that tries to build the supply of organic foods from Georgia farmers by doing grower education and outreach programs and tries to build demand among consumers and restaurants by fostering market opportunities for locally grown food. Wall reminded me that in rural communities all over Georgia, almost 30 community canning and food-processing facilities still operate, despite the ever-present threat of state funding cuts. And notably, the University of Georgia in Athens runs the National Center for Home Food Preservation, which publishes research-based (and therefore safe) methods of food preservation for anyone who’s interested. A little website called PickYourOwn.org tries valiantly to keep a running list of all the community canneries operating in the United States, and its listings show that the community cannery isn’t just a Southern thing, although the Southern states do appear to have higher numbers of facilities. John T. Edge, executive director of the Southern Foodways Alliance at the University of Mississippi’s Center for the Study of Southern Culture, says Preserving Place is an urban example of a “rebirth of that style of community-focused collaborative enterprise.” It is an adaptation of rural expertise and rural products to a world whose people increasingly live in cities. “It’s like she’s running an ag extension agency for the modern era, with a good marketing campaign and a great interior designer,” he says. What McMillin has done, essentially, is recreate the rural community cannery in an urban setting. The economics are different, but what happens inside the place is basically the same. Only the decor is different, and that's required if you're going to do battle in the urban retail wars. I thought about Wall’s characterization of the people who use rural community canneries around Georgia — people who process their own foods because they can’t afford not to or because it’s in their family tradition — and then I thought back to my classmates at the Preserving Place. Clearly, no one was there because canning was an economic necessity. But it was equally clear that all of us knew that what we were doing was part of our family traditions. Some of us knew it from our own experiences as children, and some of us knew it from stories passed down. But all of us, each in his or her own way, knew that much. In a world that often feels as if it’s going completely sideways, McMillin has conjured up a little place where people can relearn and begin to carry on a truly meaningful tradition and a very useful set of practices. I think we feel good doing business with McMillin because her economic model is one that requires her and us to deal directly with individuals — farmers and customers. We can actually see everything we’re buying and know where it came from. We need not, for at least a little while, deal with large, faceless enterprises. Martharene McMillin will turn 95 years old later this year. She no longer lives in the old family home on the banks of the North Pacolet. She now lives in Atlanta to be closer to Martha and another daughter. Martharene was able to make it over to the west side last November for the party when her daughter opened the Preserving Place.